During a recent episode of The Pledge, writer and broadcaster Afua Hirsch raised the issue of closet racism. Her sceptical fellow (white) panelists, responded with a variety of set piece rebuttals including “I don’t see colour,” the eye popping “if its well intentioned it is not racism” and the most frequently used British rebuttal of all: Britain is the most “tolerant” nation in the world. Afua took issue with the word “tolerant” and so do I. How often do we hear, in the context of discussing racism in the UK, “but we are the most tolerant nation in the world”? The rebuttal is passed around so freely but never challenged or understood. What do we mean when we say we are “tolerant”? How do those words sound to you? Now think about that on a broader level. Think of where Britain is in our history. Think about the recently published government statistics that lay bare the extent of structural racism in this country: education, job prospects and criminal justice that illustrates very clearly people of colour are disadvantaged at every stage. Tolerance may place Britain ahead of many other nations. The British are certainly not intolerant, but we tend not to display much emotion be it positive or negative, which begs the question, are we really that tolerant? We can be polite, of course, but surely all this is just a starting point? It is a very British thing to sweep those things we do not wish to discuss under the carpet. I fear we do so with our racism. Accordingly, structural racism and unconscious bias are rarely understood on a mainstream level, yet this is where the greatest challenges lie. Similarly, dog whistle racism often goes unchecked and unchallenged. The impetus for Afua Hirsch’s Pledge discussion was the overt racist comments from the girlfriend of the leader of UKIP, a political party that attracts mainstream media coverage despite the obvious dog whistle racism amongst its members. The British often perceive America to be far more racist than Britain, because its racism is more overt, be it the actions of its police departments or the current occupant of the White House. Yet America is demonstratively more progressive in many respects, leaving Britain way behind. In academia, Harvard University admits far more people of colour relative to America’s demographic make-up than either Oxford or Cambridge in the UK. Moreover, Harvard achieved this without compromising academic excellence disproving the notion that “affirmative action” meant lowering the bar. It does not. As David Lammy points out, Oxford and Cambridge could do the same, but have consistently failed to do so. EITHER one black person making the case to two, three, for or more white people all of whom hold an opposing view. Occasionally, there might be a white ally. Instinctively the ally may well be on the side of the black person discussing structural racism, yet very often the ally tries to be the peacemaker in what is often a heated discussion, hoping to defuse any unpleasantness with another set piece such as “but we have come a long way”. OR the researchers manage to find several black and south asian participants who, conveniently and in the interests of good television, hold opposing views. This may be authentic insofar as a sixty year old dark skinned black man who lived through extreme overt racism in the seventies and eighties will have a different perspective to a mixed raced woman in her twenties grappling with unconscious bias, othering and dog whistle racism today. Such formats over simplify the arguments almost always without time to fully understand the nuances around these varying positions. A recent episode of BBC Big Questions is a case in point. In contrast, American television news and talk shows will often utilize two or three black commentators speaking on a panel about race (or indeed more general subjects), be they pundits such as Angela Rye and Bakari Sellers or presenters such as Don Lemon, Van Jones or Joy Reid. British television is way behind. When Republican commentator Cory Lewandowski made racially charged remarks about President Obama during the 2016 presidential election, he was very firmly put in his place by more than one of his fellow panelists. For such a “tolerant” nation, we British seem to be remarkably slow in addressing structural racism, unconscious bias and dogwhistle racism. Yet, seemingly “intolerant” America is way ahead of us. The uncomfortable truth is Britain still has a lot work to do. Tolerating is OK. Britain can do that. But we are not “OK Britain” we are Great Britain and we can do much better than OK. That means continually improving ourselves as a nation to ensure all our citizens, regardless of background, feel not just tolerated, but accepted and equal and to feel truly British and not merely Brit(ish). 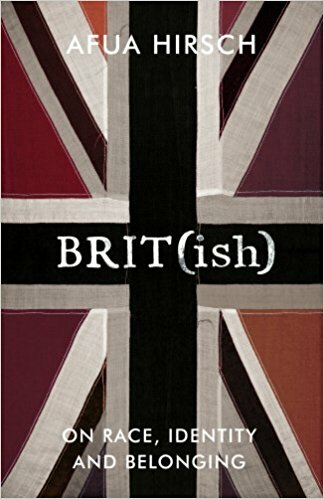 For a more complete and beautifully written account of why we British should do far more than merely tolerate, BRIT(ish) by Afua Hirsch is an essential read.